Whether you had your ears pierced later in your teens or you braved the piercing gun when you were still a tiny tot, we girls have grown to love a pair of earrings. 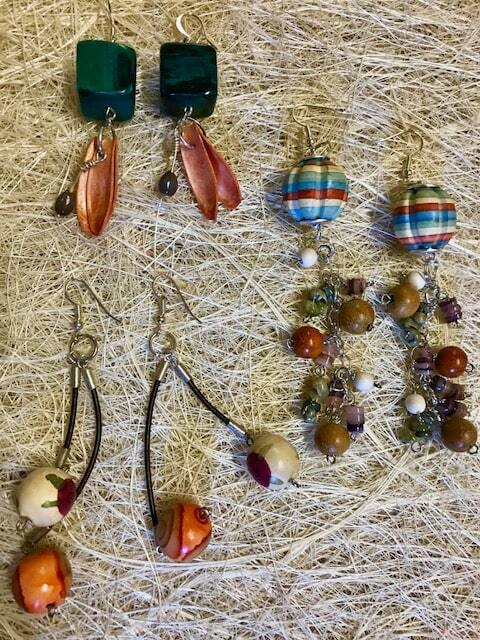 Earrings are essential components of any wardrobe. If you are a hippie, a self-confessed minimalist or love over-the-top outfits, we’ve got something for women with different personalities. Grunge Republic. You basically own this look and you know that black is your main accessory. You get queasy at the idea of donning pastel colors. But lucky for you, black is never out of season. Since you are a force to be reckoned with, you always go for cuffs and chains. But why not take a step back and include oversized black tassels in your get-up. You still have the grunge look but with a bit of chic film noir vibes. The Trendsetter. As a person who is into the latest trends, you make it a point to scour the local shops for on-trend pieces. When it comes to jewelry, thick hoops and gemstones best suit you as you can strut these items from day to night. Take it up a notch and wear mismatched earrings for a fashion-forward look. You know you’re confident to wear them with a gown, a simple t-shirt or even a pair of sweatpants! Boho-chic. Maxi dress? Check. Ankle boots? Check. Round sunglasses and floppy hat? Check check. Hippie headbands? Check. How about your favorite jewelry? Big check! You’re in love with layered jewelry, wood and metal bangles, gold hoops, and long feather earrings. So how about stepping up your bohemian look and let multi-colored fringe earrings add a bit of shimmer to your get-up. This might be a bit different from your usual taste but you’re the carefree type anyway — you’re down for it! The Eccentric. You’re the kind who likes surprises and you always hunt for quirky, unconventional, and bold pieces. You’re not scared to experiment with colors, shapes, patterns, and sizes. Why not try an asymmetrical earring and sweep your hair to the side to let this piece of art shine! This will definitely be a fun addition to your off-the-wall collection. Preppy. A string of pearls is your trademark and you can’t go on a day without wearing one. If you want to elevate your signature style and give it a more modern take, a pair of teardrop pearl earrings will do the trick. You will still have prim and proper feeling but with a little more funk. Clean and Minimal. You keep it simple and low-key and the thought of wearing chunky earrings make you cringe. The latest trends simply don’t suit you. Now a piece with a subtle charm like a metal coin dangle earrings will work wonders for you. You can pair them with anything and they have an extra flair without looking over-the-top. These are just a few of the ear candies that suit different personalities. Remember that you can always wear whatever pair you prefer no matter what your personality is. Just because you’re a minimalist doesn’t mean you can’t sport a pair of fringe earrings on days when you feel like stepping up your ear game. Feel free to experiment and swap a pair of chic earrings with something unusual. Don’t forget to own your look as your confidence will make you shine more than following the suggestions above!